Where are those alternative varieties in Australia? 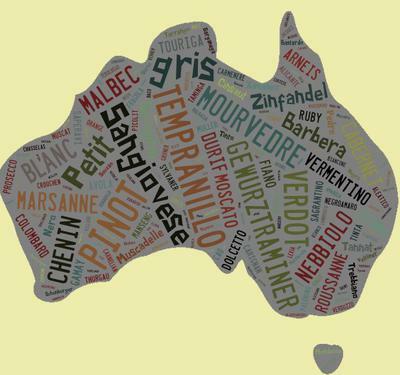 Do you know what area of the total land under vine in Australia the alternative varieties cover? Alternatively, can you point me to a website where I can find the area under vine with a breakdown of each variety. If you had asked me a couple of months ago I would have had very little idea, the main statistics were only concerned with major varieties. A couple of months ago a new publication from the University of Adelaide was released containing a large amount of information. And even better news is that the PDF file of the publication is FREE! That Publication gives areas of 1300 or so varieties grown in various countries and regions.